Maydelle Clarice's love of story telling began as a child in Houston,Texas reading and writing stories for her younger siblings. By the time she was in high school she began landing lead roles in school plays, performing in community theater and writing plays and short stories. 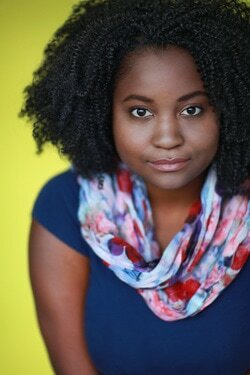 After touring the US as part of a variety/sketch performance troupe called CELEBRATION!, she attended the University of Southern California's prestigious Film Production program. This change of pace allowed her to study behind the scenes as well as act in student projects. After working in development and production at Illumination Entertainment for a few years, she is now an actor full-time.